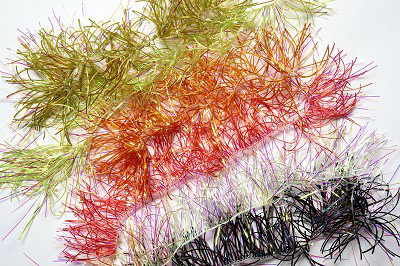 Super Stretch Hackle - Pearl lurex strands have been combined with strands of Super Stretch Floss on to a fringe to create this wonderfully mobile and flashy hackle suitable for your Pike and big trout flies. A very popular Fritz chenille material from FAP. A very popular Fritz chenille material from Flash Attack Products.